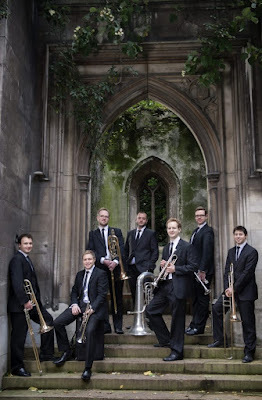 The brass septet, Septura, has a new concert series at St John's Smith Square, London and West Road Concert Hall, Cambridge. Called Kleptomania the series presents prize pickings of music that the group has "stolen" through transcription for brass septet: plunder from string ensembles, pianists, chamber orchestras and singers. Septura is made up of Philip Cobb (Trumpet), Simon Cox (Trumpet & Artistic Director), Huw Morgan (Trumpet), Alan Thomas (Trumpet), Matthew Gee (Trombone), Matthew Knight (Trombone & Artistic Director), Daniel West (Bass Trombone), Sasha Koushk-Jalali (Tuba) and Peter Smith (Tuba). The group is recording a series of 10 discs for Naxos Records, each focused on a particular period, genre and set of composers, creating a ‘counter-factual history’ of brass chamber music. Full details from the Septura website.